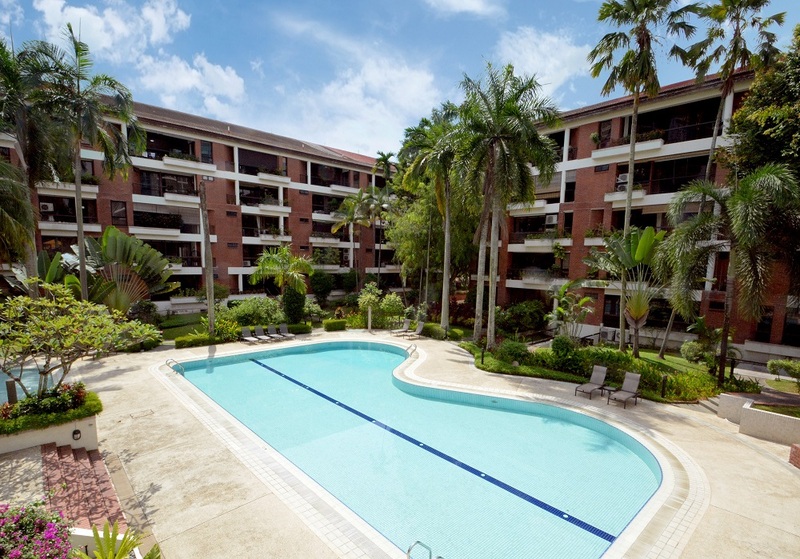 Knight Frank Singapore is pleased to announce the launch of the sale of Sutton Place, a freehold residential redevelopment site off Farrer Road. Knight Frank is also the sole marketing agent for the site, which has been put up for sale by tender. A five-storey development comprising 44 apartments, Sutton Place sits on a site area of 8,657.0 sqm (approximately 93,185 sq ft). The site is regular in shape and is elevated away from traffic, overlooking surrounding developments. Under the 2014 Master Plan, the site is zoned “Residential” with an allowable plot ratio of 1.6, and is not subject to a Pre-Application Feasibility Study (PASF). Subject to approval from the Urban Redevelopment Authority (URA), the site can be redeveloped into a new condominium with 198 apartment units, at an average size of 753 sq ft.
With a strong locality, Sutton Place is conveniently situated in proximity to an array of amenities and food and beverage outlets within Holland Village, Chip Bee Gardens and Dempsey Hill. Better yet, the development is surrounded by popular schools, including Nanyang Primary School (within 1km radius), Raffles Girls’ Primary School, Nanyang Girls’ High School, The Chinese High School, Anglo-Chinese School (International), Hwa Chong Institution and National Junior College.